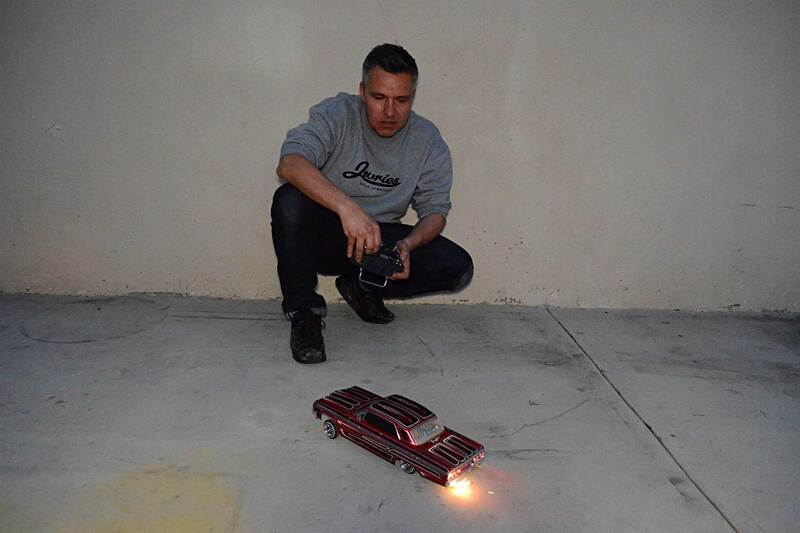 Jeroen (“Jevries”) de Vries has always loved American cars, something that was hard to find in the Netherlands where he was born. 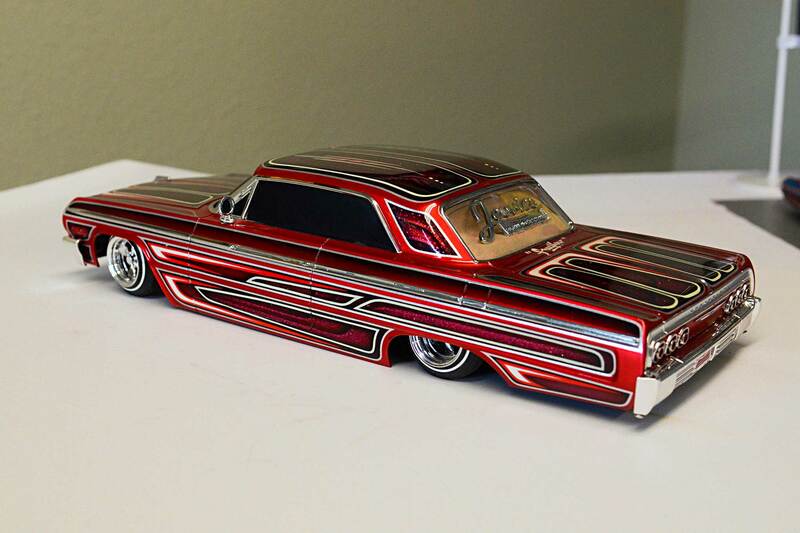 He loved the chrome and the body styles of these American custom cars and was in awe the first time he saw a lowrider hopping in front of traffic lights on an American television series. 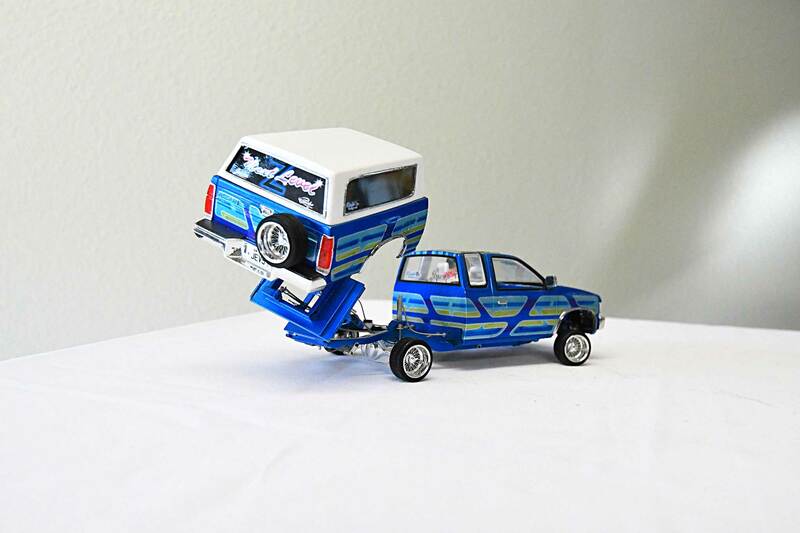 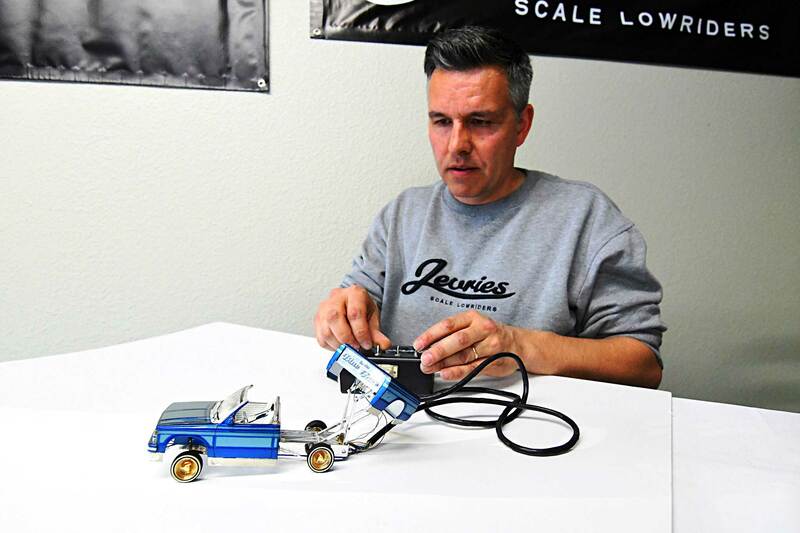 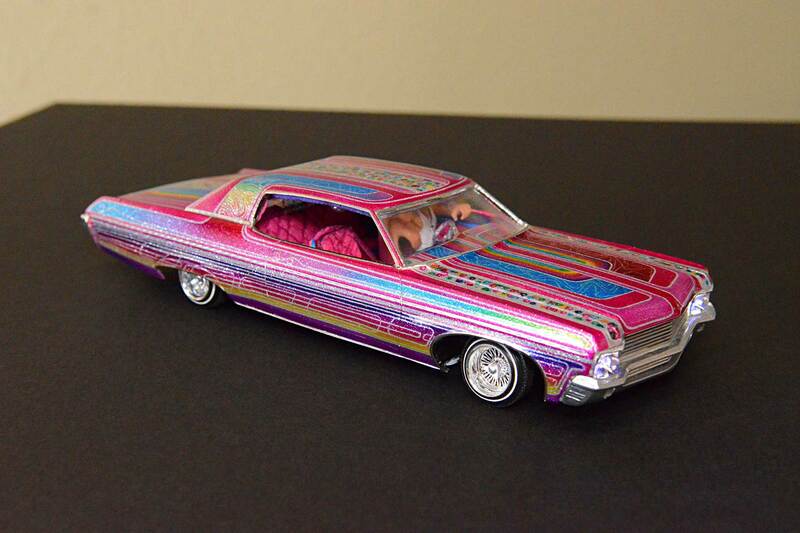 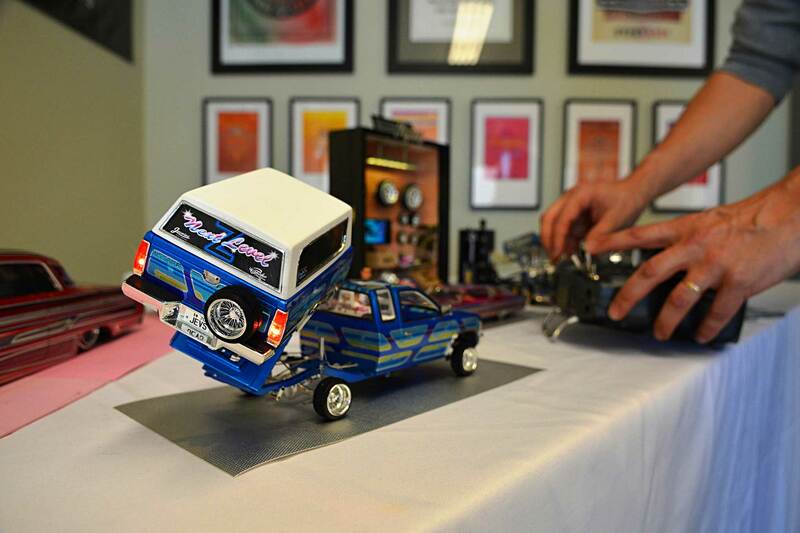 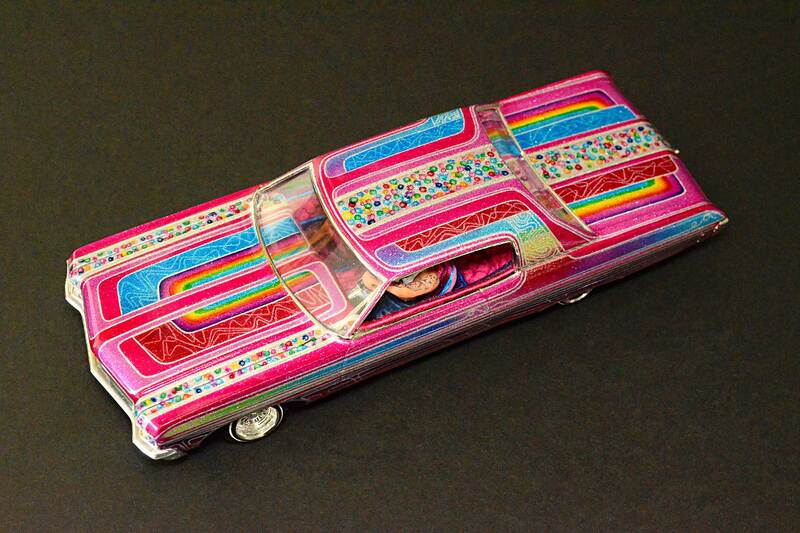 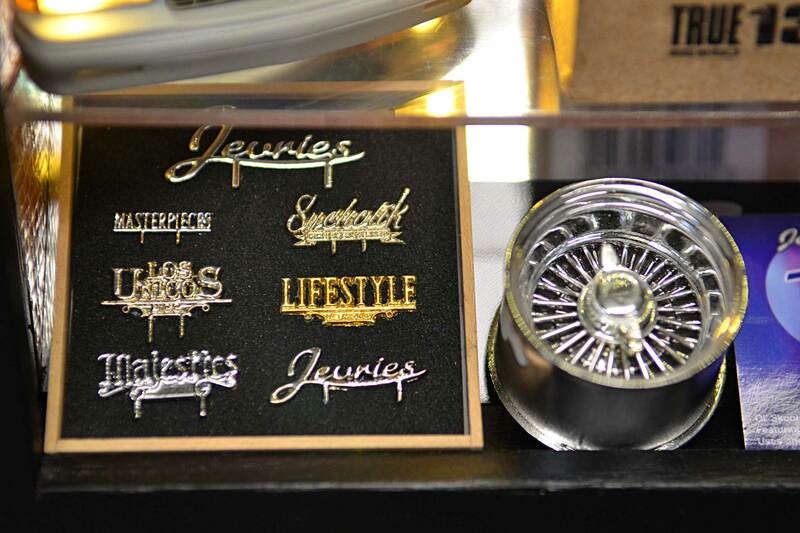 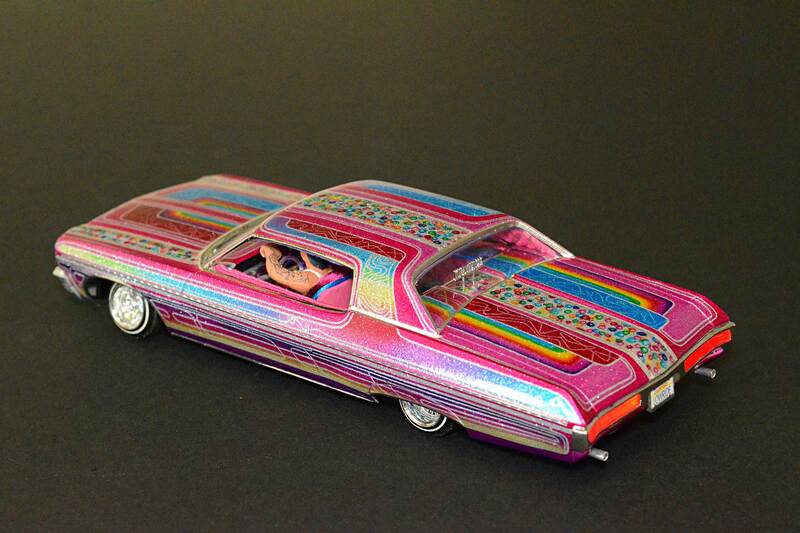 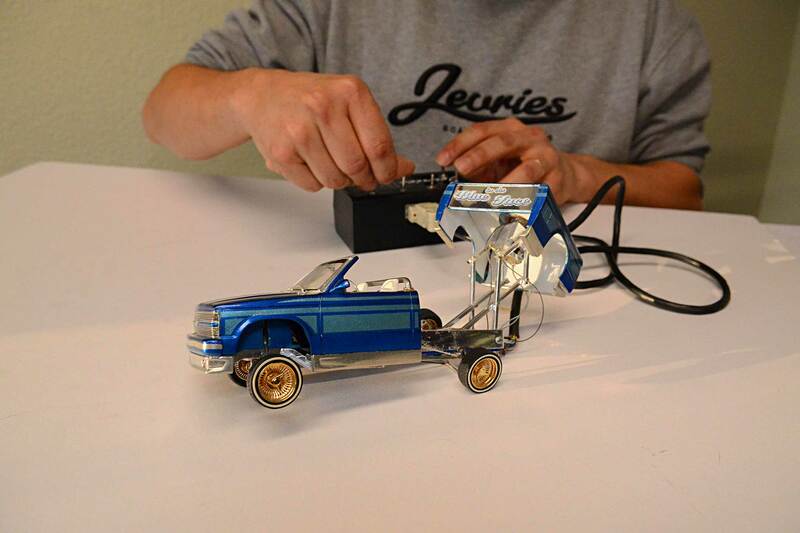 For decades Jevries has been making his model lowriders and sharing them with people all over the world. 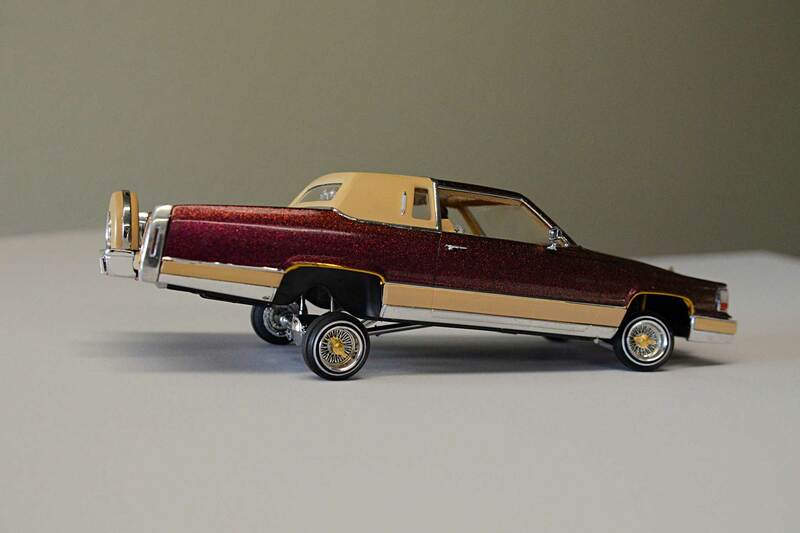 “Lowriding is a passion and obsession of mine … I think, breathe, and dream about it. 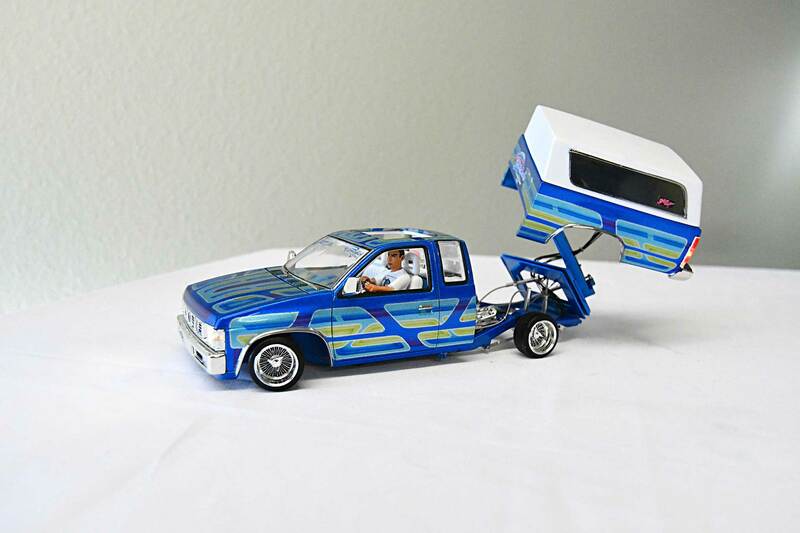 I’m always trying to come up with new tricks to add to my cars.” He had his models displayed in a three-month exhibition at the Ben Maltz Gallery and also displayed them at the Petersen Automotive Museum, both in Los Angeles. 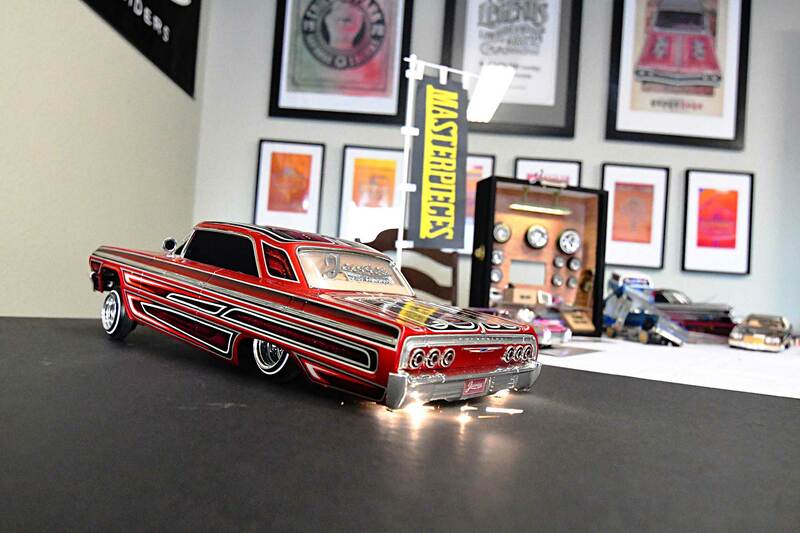 He has traveled to Japan several times and exhibited his cars at Mooneyes in Yokohama last year. 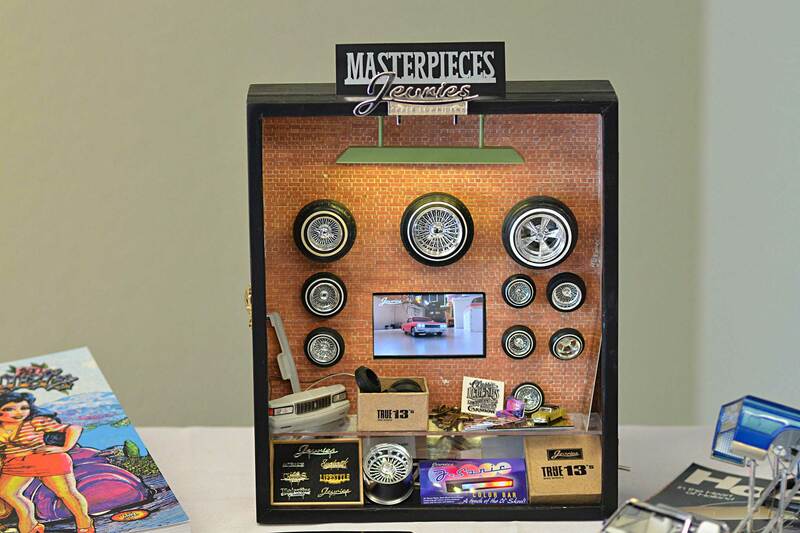 He also enjoys sharing his work on social media, like YouTube, Instagram, and Facebook. 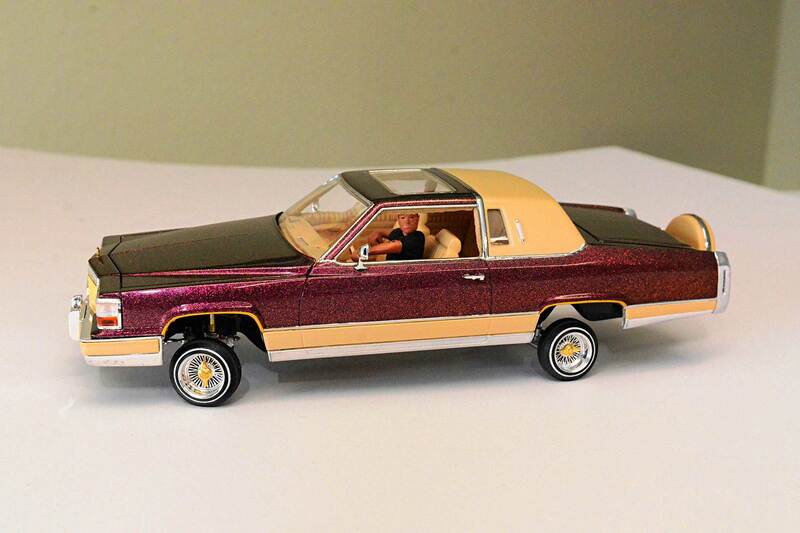 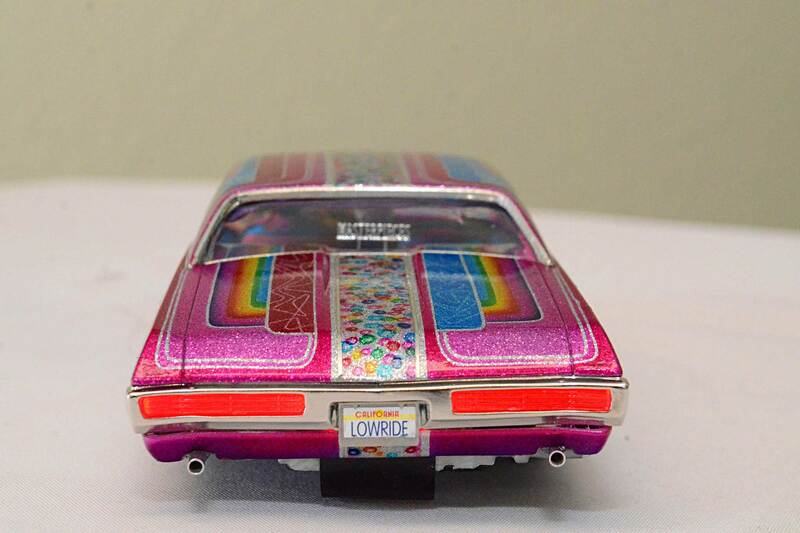 Some of his models include Real Deal (1964 Impala), Blue in the Face (1/25 scale Chevy S-10 beddancer), Boogie Nights (1970 Impala), and Black Magic Woman (1973 Caprice—a work in progress). 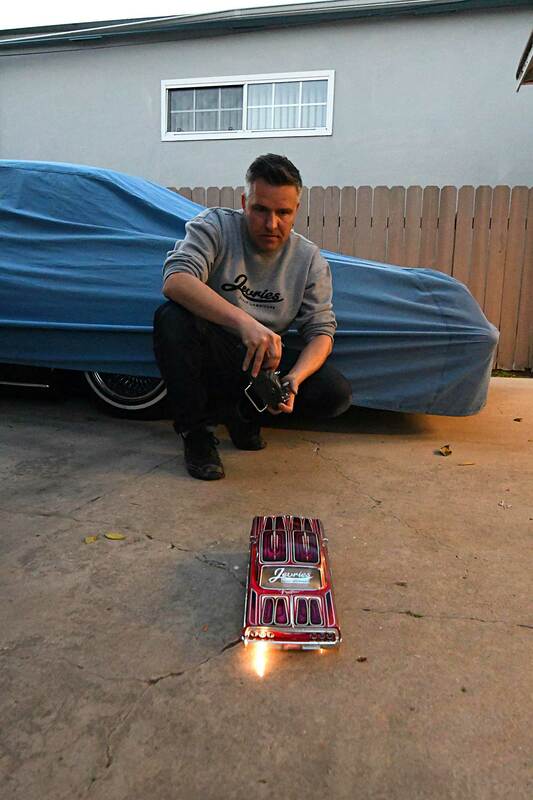 He is also working on a Teen Angel Blythe doll (big-eyed dolls he and his wife both make) with a 1/6 lowrider bicycle. 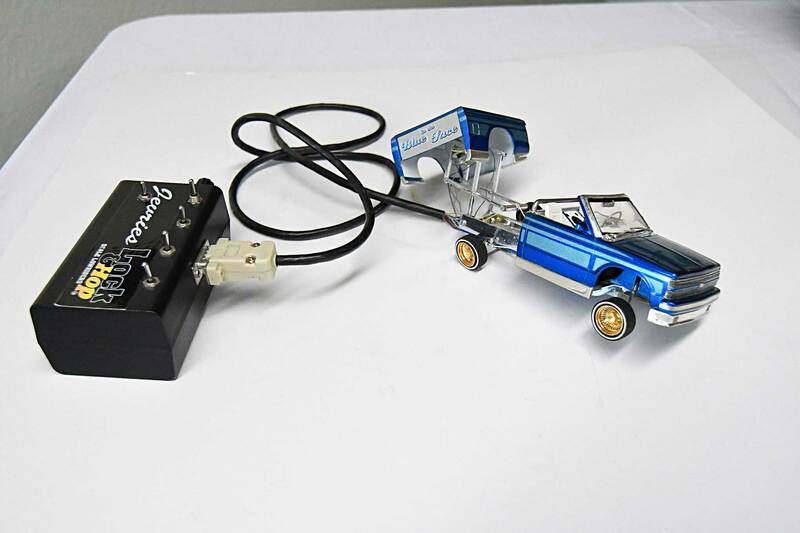 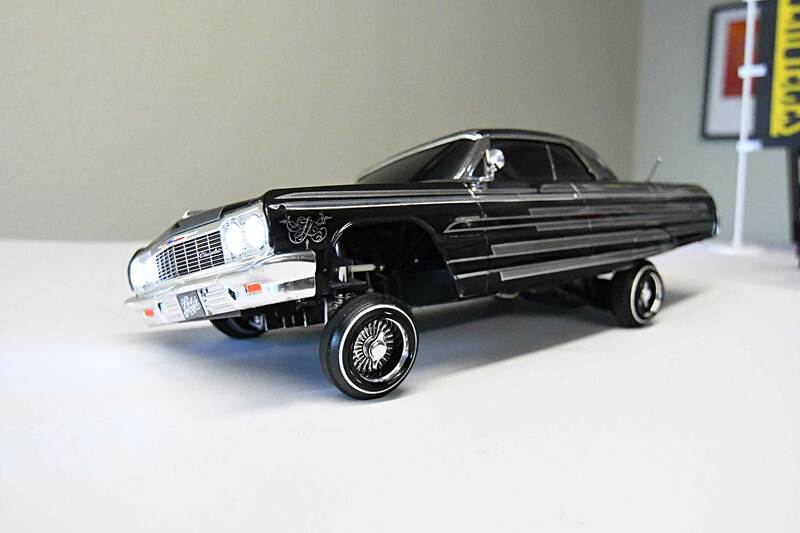 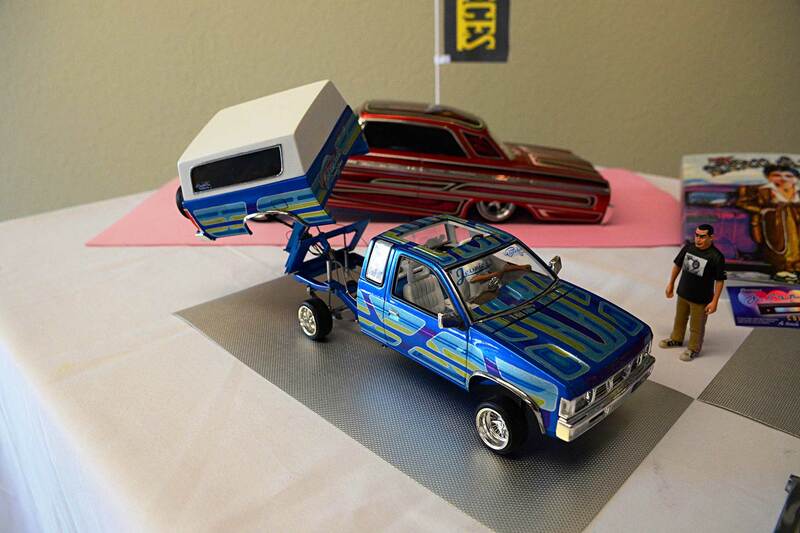 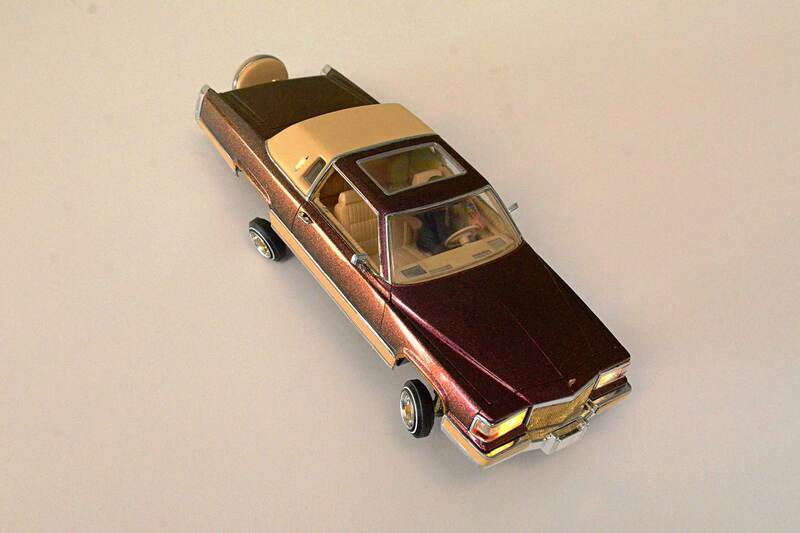 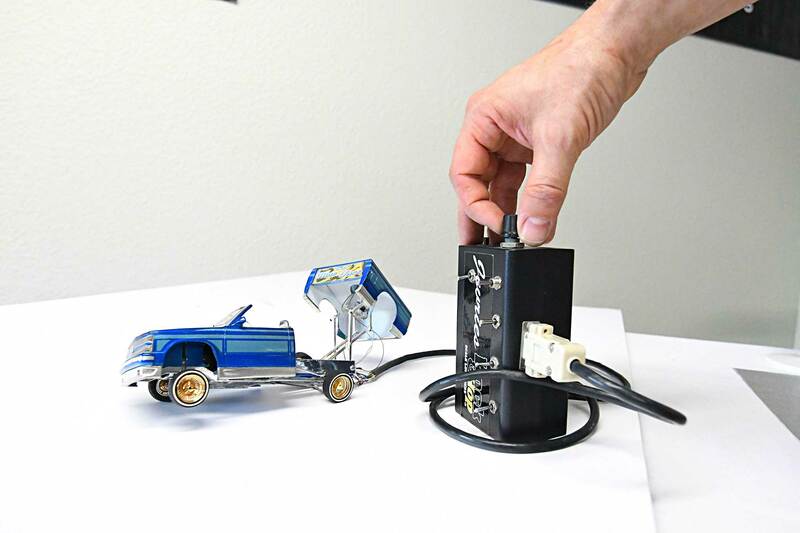 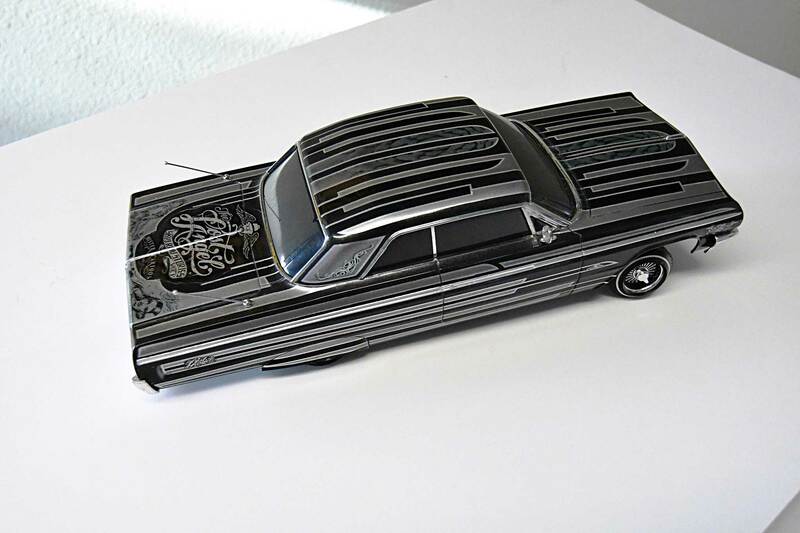 Other model projects include BeSwitched (1/12 scale 1967 Impala), the Lost Angel (1964 Impala hopper car), Next Level (1/20 scale model RC Z-rack beddancer model truck), and Freeflow (1/12 scale 1964 Impala old-school style). 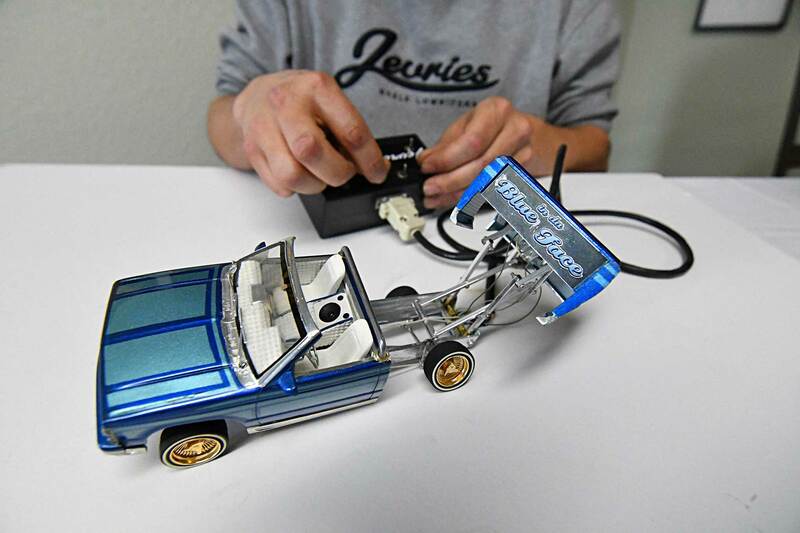 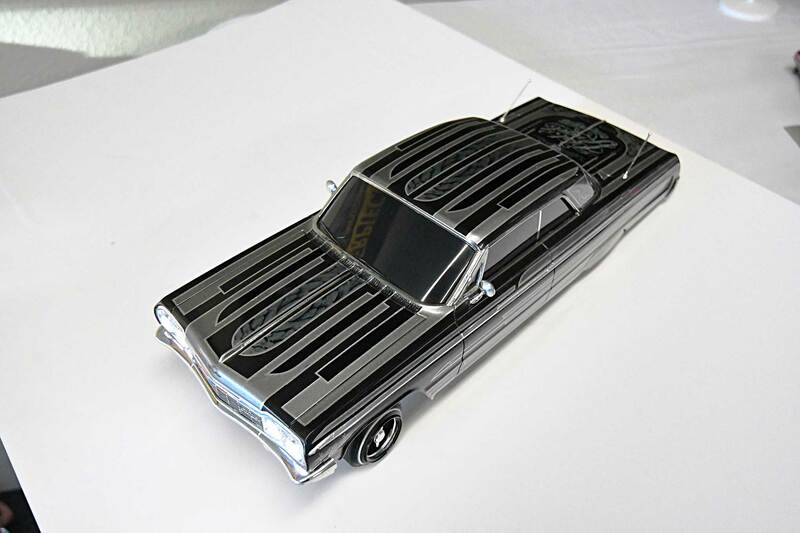 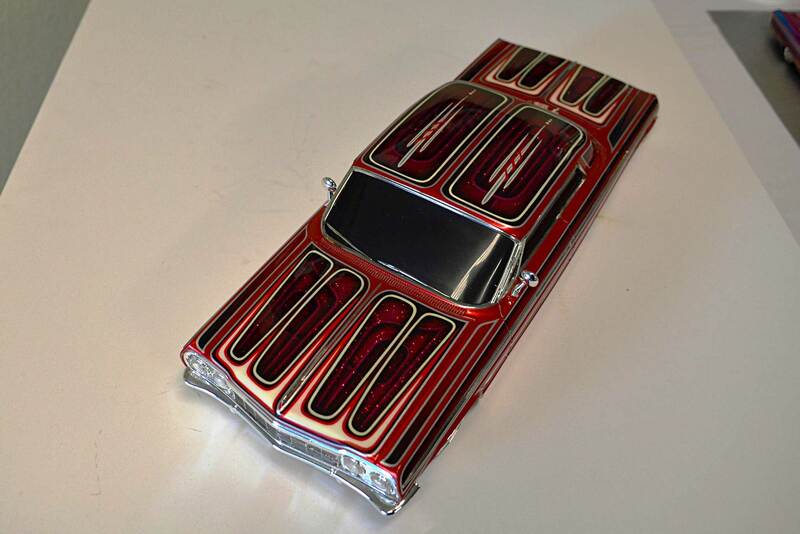 Jevries is currently working on a Japanese 1964 replica called Redman (a 1/10 scale beddancer with Z-rack and spinning bed), a 1/14 scale 1948 Chevy Fleetline, and a 1/14 scale Cadillac Fleetwood Brougham. 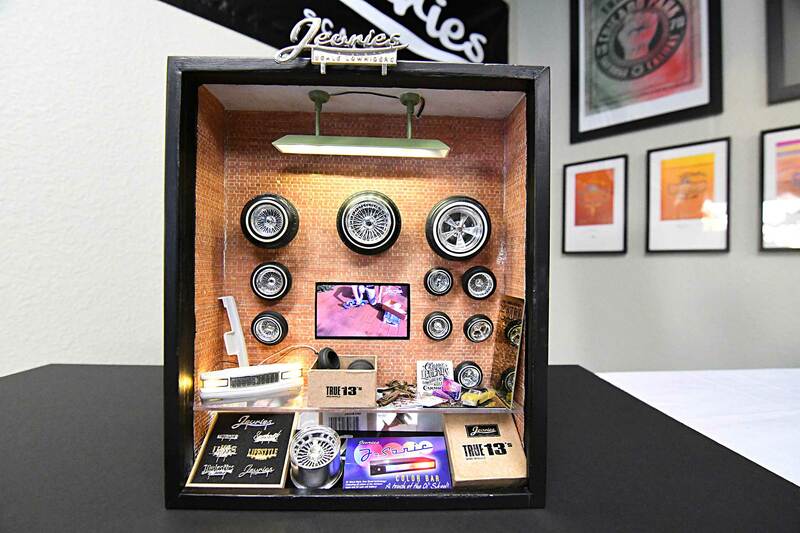 Over the years, Jevries has been inspired by talented builders like Armando Flores, David Anthony Garcia, Gary Seeds, Carlos Avelar, and Bear Garcia. 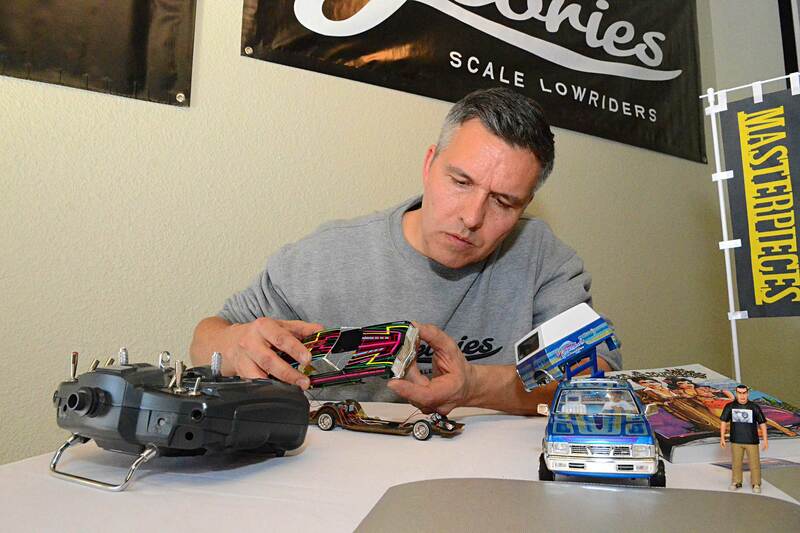 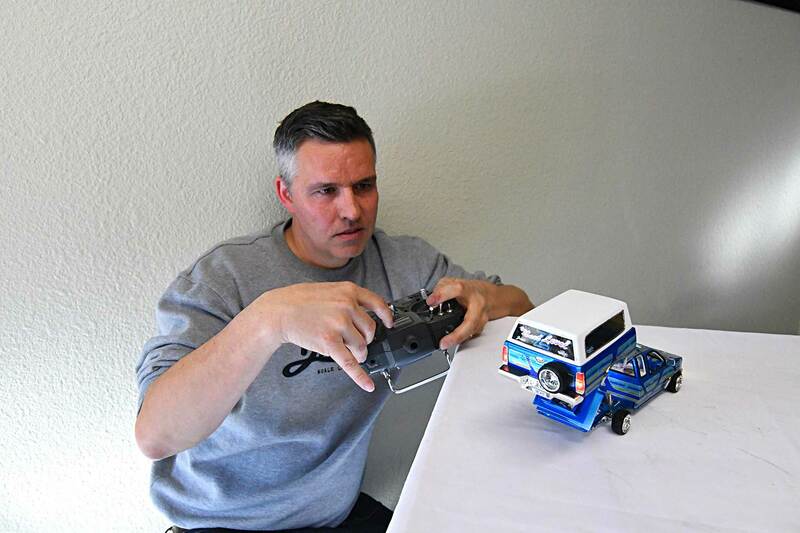 They showed him how to capture the essence and art of lowriding in scale. 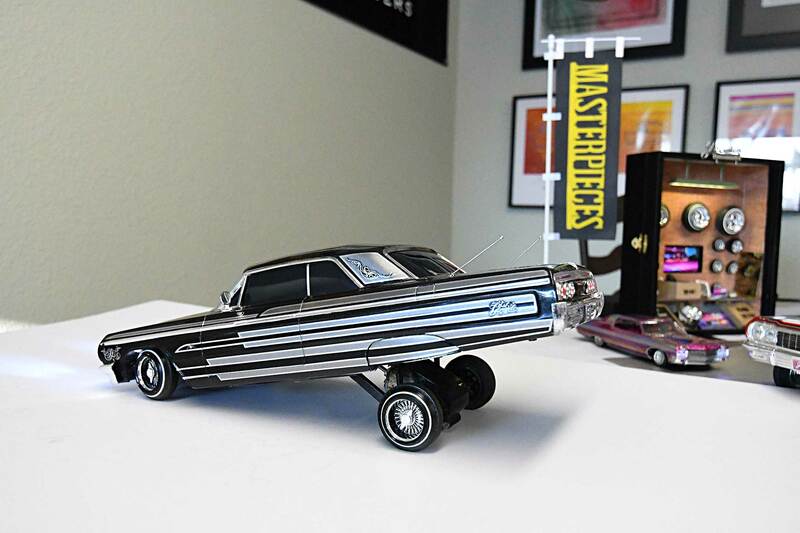 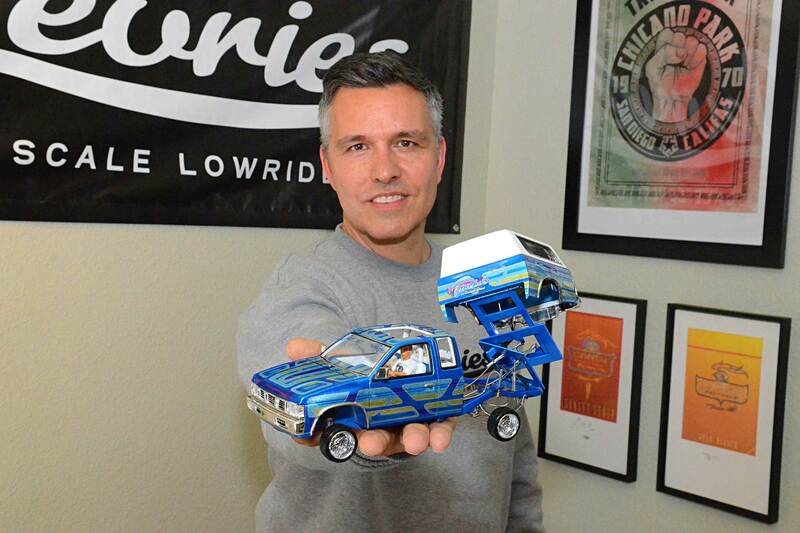 “Armando Flores and David A. Garcia were my biggest inspirations because they build stunning static lowrider creations, as well as inventive working model cars that could hop and even throw sparks.” Fortunate enough to meet his heroes, Jevries even became a member of Masterpieces, one of the most prestigious model car associations, and he feels truly blessed. 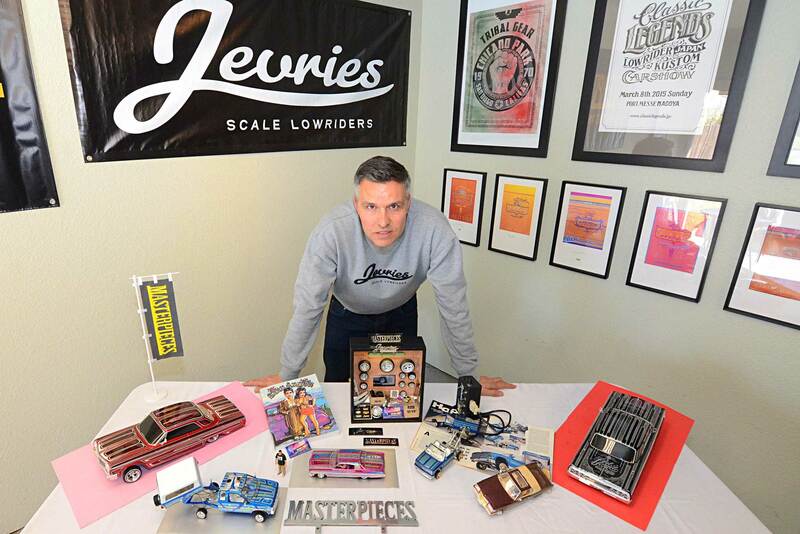 Jevries would like to thank his beautiful wife, Joelle, and his parents, both who have always been supportive. 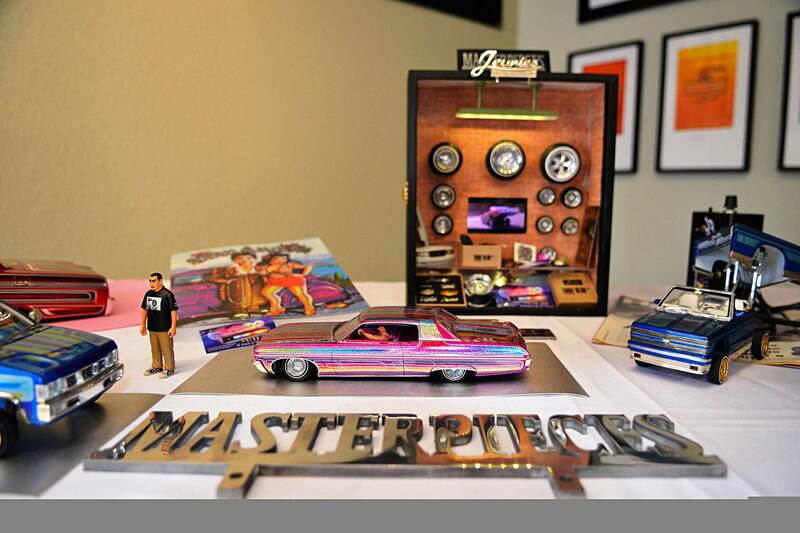 He would also like to give a big thank you to Armando Flores and family, Juan Amezcua, David de Baca from Teen Angel, Danny Hidalgo, Francisco Pancho Barron, Fahmi Freeflow, and everyone else who has been so supportive.